Just logging in here to update my backup of @Canageek and let everyone know my new roleplaying account is @Canageek due to mastodon.weaponvsac.space shutting down. Back up your accounts people. I moved my account from weaponvsac to dice.camp in 8 minutes, plus another one or two setting it up with Subway Tooter on my phone. You never know when an instance will die. This time I got warning, but next time I might not. @benkramer @olde_fortran Dammit, note there are two tabletop instances? @Canageek Finally someone else who doesn't approve of the misappropriation of Rogue-Like. @emdeesee @viciousviscosity I seriously considered buying a USB foot pedal keyboard so that I could do Ctrl and Meta with my feet. I was talked out of it by someone who said they'd tried it and that feet don't move fast enough so it actually slows you down. 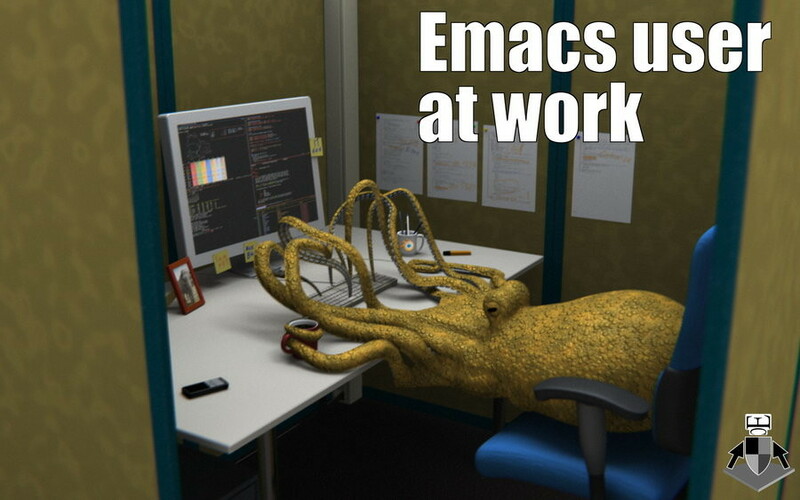 I decided to install emacs so I could look at the org mode everyone is talking about. If you need to distract yourself for a little bit by just doing something "normal" for a while, Our Friend The Hexagon ( @HTHR ) is streaming some Flash games for a while. Should I watch True Detective? I know it has KiY/Carcosa elements, but how much do I have to have to watch to enjoy those bits, and is the rest of it any good? I'd watch it without a second thought if it were a 3 hour movie, but I don't know that I want to spend 18 hours plus on a TV show sight unseen. "With McDonald's changing its Chinese company name to "Golden Arches," netizens are suggesting literal name changes that others could make." Home. Had to take cab. Well, not comfortable waiting at Main and Hastings for a bus at 1 am for hand an hour. Forgot to get receipt though so no chance of getting bus company to pay for it though. Calling for my refund first thing. Nice chat with cabbie though. Back in Canada. Barely awake. Will answer all your questions in the morning. Getting very tired. Willing to answer most any question. Science communication, personal. Keep me awake and prevent boredom. Greyhound won&apos;t send it&apos;s bus but to help. Waiting for a bus from Seattle. Boltbus will at least give us refunds. ETA to Vancouver, 2 am. Will probably need to take a cab home from there.